Clips for bandage – enables bandage to be easily secured. Made of aluminium and elastic band. White band with metal clips. 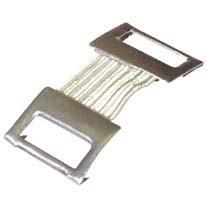 Clips are made of aluminium with elastic band or metal only.